Fashion news incoming: a statement bag is no longer about turning that statement up to 11. According to a report by market research group NPD, a third of the handbags bought by US consumers in the last year have been discreet, no logo handbags. Those over the age of 50 were the biggest no-logo consumers, with 40% buying them, but Generation Z in their teens and early twenties – perhaps more partial to conspicuous consumption and the big branding that plays out well on Instagram – are getting involved too. Their no logo purchases increased by 8%. The UK is no doubt going a similar way. Here’s the funny thing – that information goes against what were lead to believe about today’s fashion, where logos are back in business in the last few years after the blankness of minimalism. See the now-infamous Vetements DHL T-shirt and brands like Moschino and Anya Hindmarch taking the household logos of pop art to their logical conclusion by turning them into purchasable items. The no logo handbag doesn’t fit into that. Or maybe it does. When you’re wearing a logo T-shirt, the counterpoint is a discreet handbag – unless you want to channel early noughties logomania. As with any trend, though, it’s about the right no logo handbag – not just any old anonymous one – by the right brand. Michael Kors has the sales of his subtly-logo’d handbags (most of which retail at under £400) to thank for him becoming a millionaire. 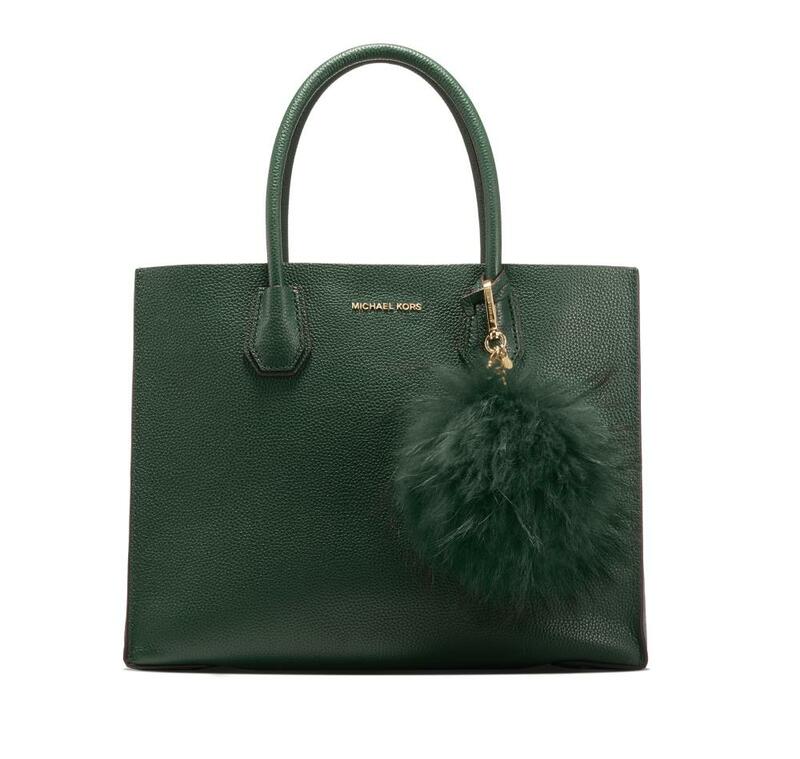 The Gracie is the most recent celebrity favourite, carried by Kendall Jenner and Gigi Hadid, the young women that millions of other young women emulate, and the Mercer, a £310 tote, is a bestseller. 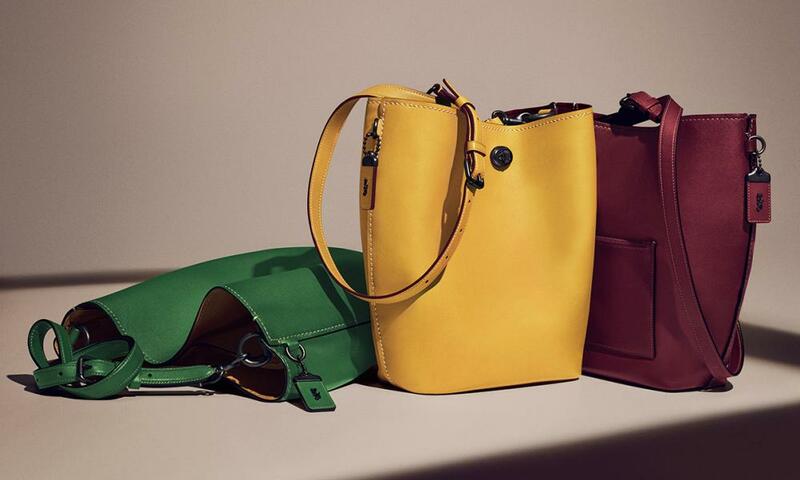 Coach, another American luxury brand, is also going big with discreet classics in its 75-year-old archive for its anniversary. Three classics – the dinky, the duffle and the saddle bag – have been reworked in different colours. Most have such discreet branding that only those in-the-know would know about it. There is of course an even more in-the-know bag (isn’t there always?) that insiders in on this trend carry. 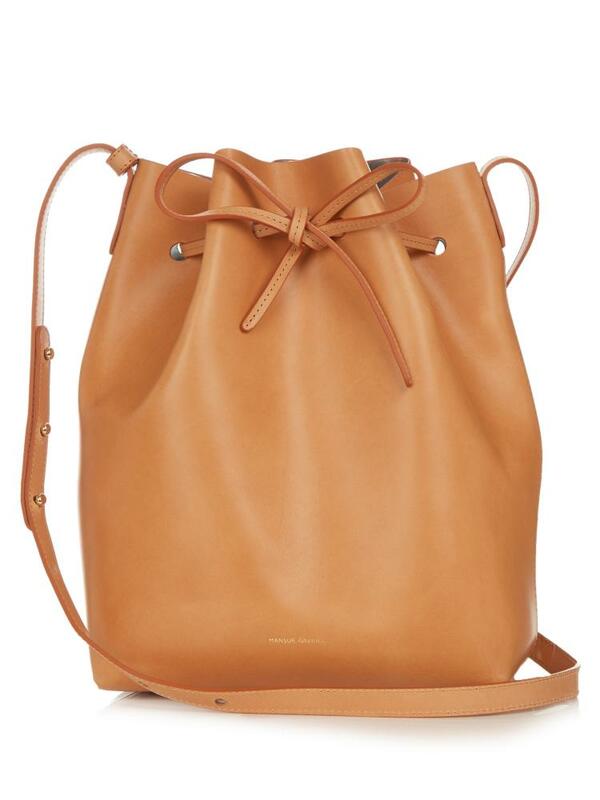 Enter Mansel Gavriel. The New York brand, founded by Rachel Mansel and Floriana Gabriel in 2012, has made its name with the bucket bag, a simple tie-up shape, with such discreet branding (just the name embossed in point 10 font at the base of the bag) and that kind of expensive-but-just-about-affordable price tag, of around £490. Compared to £2150 for a Saint Laurent tote, it’s a steal. The brand is now expanding into other, equally plain bags. The rise of the no-logo handbag is also perhaps due to economics too. Without the hardware, the embroidered logos, the fuss, bags are in general cheaper. None of the brands mentioned here are at the blue chip end of designer fashion – they’re friendly, kinder to the pocket of a professional woman who buys designer handbags but can’t quite bring herself to put down the equivalent of a mortgage payment on something to sling over her arm. It’s this consumer who buys these bags – she’s grown-up, interested in fashion, but risk adverse with her hard won disposable income. The growth of the no-logo bag as a bona fide trend shows she is #winning.